Following up on the documenting of my front fairing mods, this entry brings you my modifications to the rear taillight and turn signal indicators. 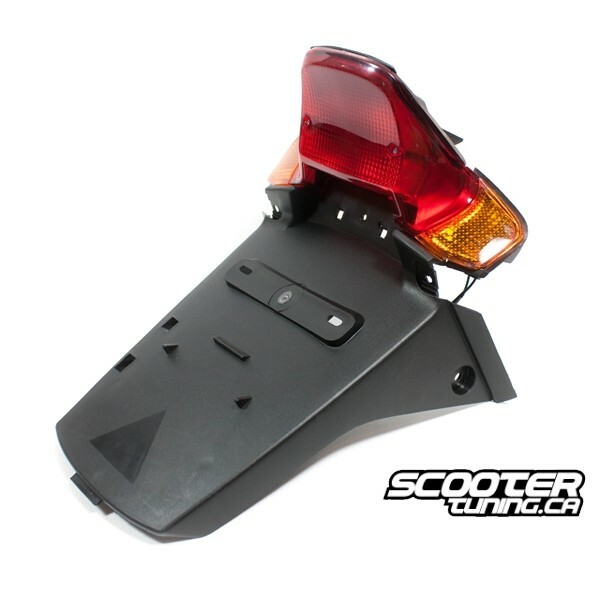 I was hoping to replicate something similar to the photo below, which sell at scootertuning.ca for $79.99 (CAD). 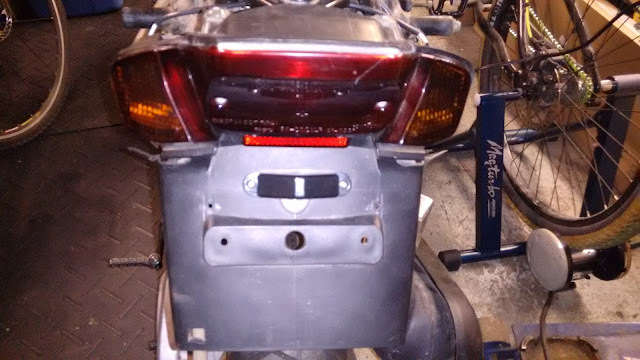 After removing the plastic license plate light housing, and the plastic mud flap I was left with something that was starting to look more like my end goal. 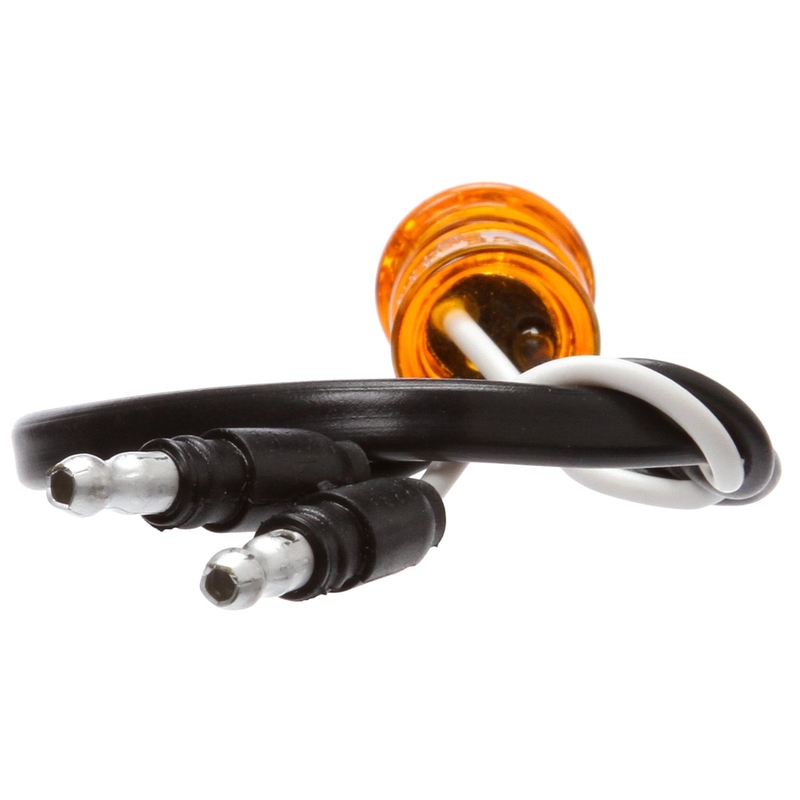 The North American YW50 (BWS 50/Zuma 50) does not come with integrated turn signals in the taillight, like it's siblings sold in Europe and Japan. 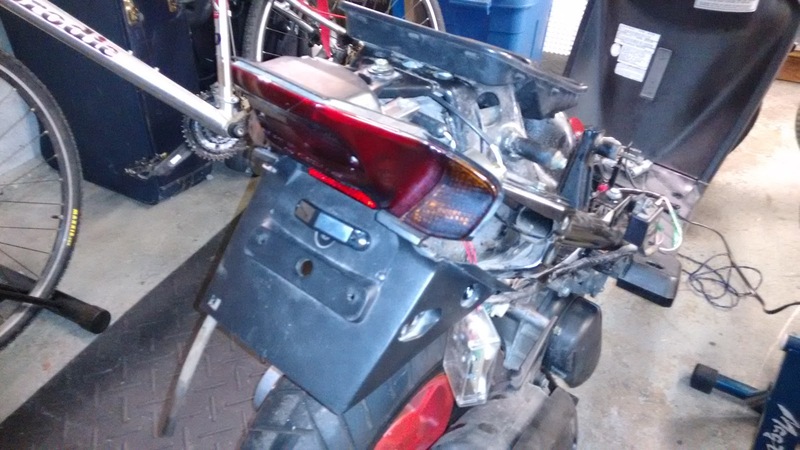 Dismantling the taillight assembly revealed that while it was possible to recreate the European/Japanese integrated turning signals, there was no factory installed wiring. As you can clearly see in the above image, the previous owner of my scooter had already integrated lights into the taillight assembly, however they were merely white LED that worked in unison with the brake light. 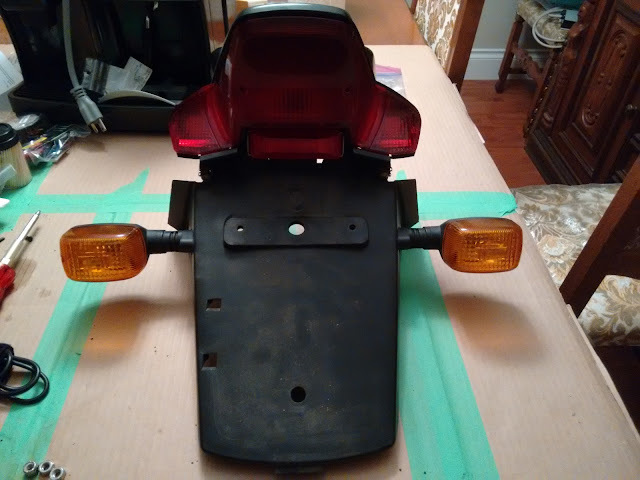 Seeing as I had unused amber .75" LED turn signal indicators left over from my fairing build, I decided to use them here in replacing the existing white LED lights. 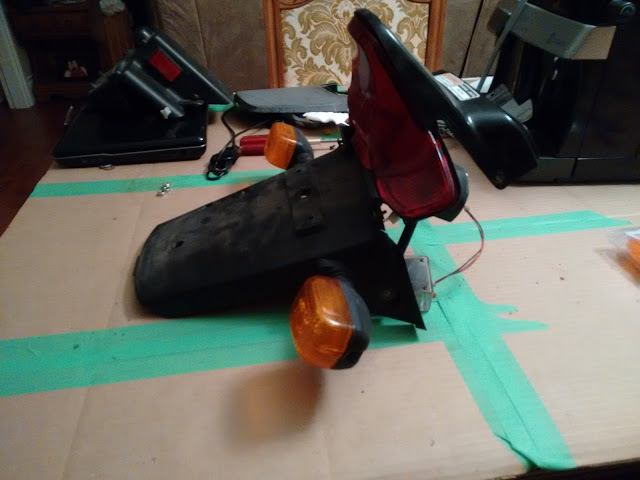 This was a simple process of drilling out a .75" hole and pushing the LED through its grommet, which held it in place. 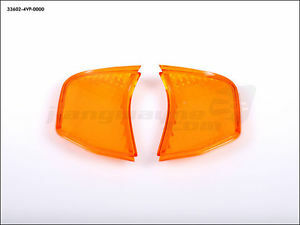 I ordered third party amber turn signal lens from EBay, that would replace the stock red lenses. 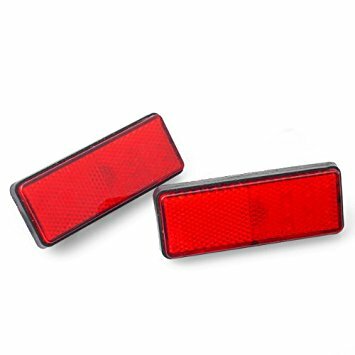 The stock taillight assembly came with a reflector located just below the taillight, which I replaced with a red LED reflector which was also sourced from EBay. The LED reflector was wired into the existing harness to provide a constant low intensity light when riding (for visibility), and a high intensity light when the brakes were applied. 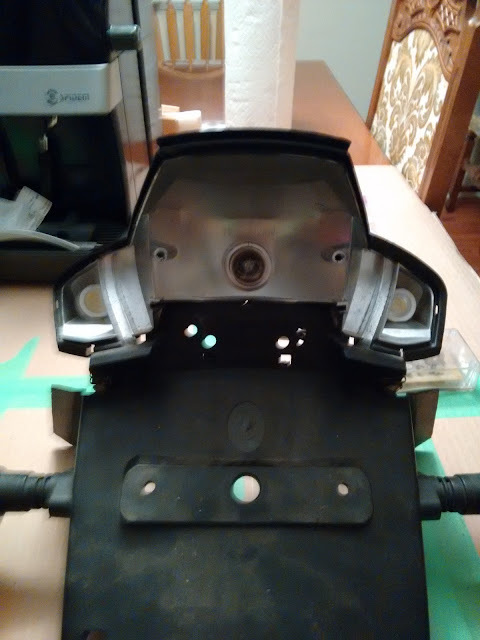 Before I assembled everything, I gave all the exposed lens a good cleaning and sprayed them all with VHT nightshade, to give them all a smoked look. 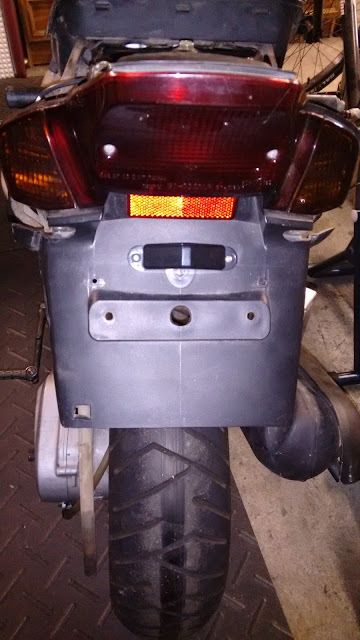 Here is what my finished taillight assembly looks like. 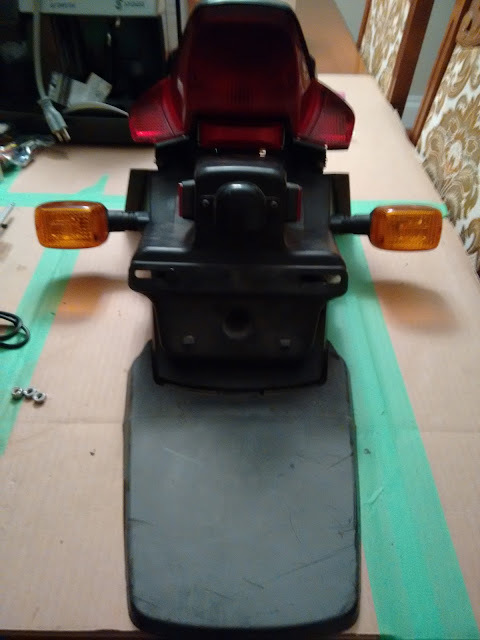 I also added a LED license plate light, which I don't really like, but it will have to do until I find something I like better. You can see how much shorter the newly modified taillight assembly is as the gas drain hose ran the whole distance of the stock taillight assembly. 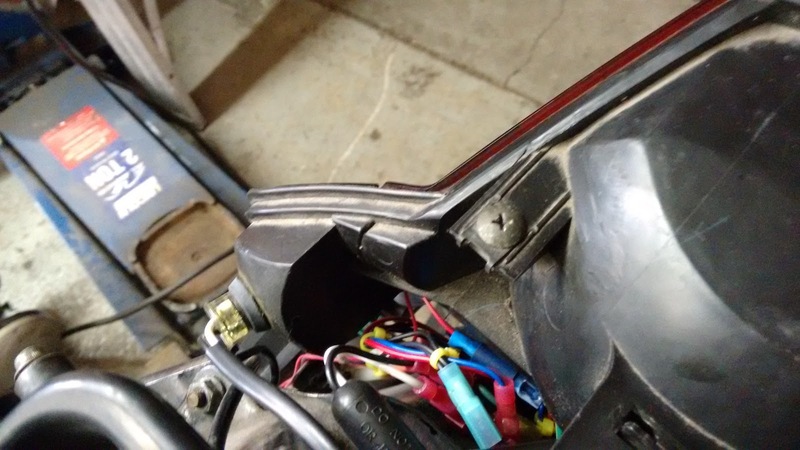 Hope you enjoyed this update, if you have any questions make comments or send me an email.